It has been a quick start to the new year for us at Intrepid Studios and I wanted to take a moment to talk about the continued growth of the studio, what we’ve learned, and expectations moving forward. We’ve had a great first part of the new year when it comes to hiring. We’ve brought on board fifteen new full time employees in the last few months, including Margaret Krohn and Sarah Flanagan who are helping bridge the gap between communication of the development of the game to the community and vice versa. Beginning this month, you will start to see regular content updates on our road to Alpha One. We also brought onboard some new producers, programmers, and artists. I continue to look for the greatest talent that our industry has to offer. Developers who share a passion and love for the MMORPG genre and have the experience to back it up. You can check out these fresh talented people below. Construction is underway at our new studio location, with over 21,000 sq ft of studio space dedicated to creating the best MMORPG possible. Our previously chosen location was no longer viable due to reasons outside of our control. 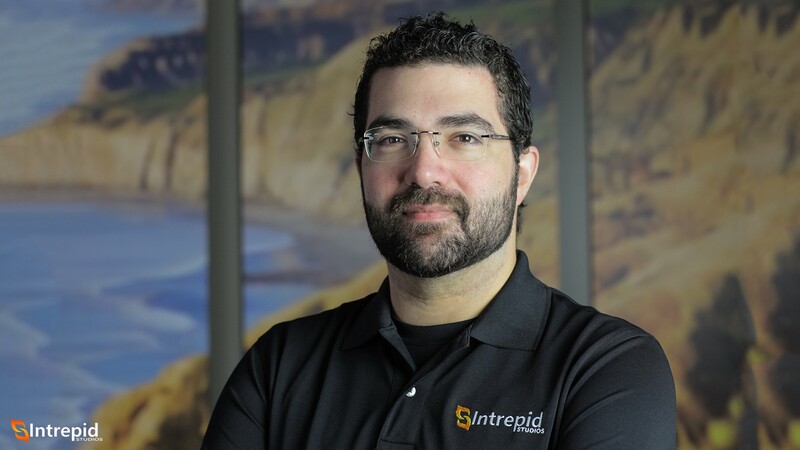 Intrepid is expanding fast to accommodate one of the most ambitious projects in development and during this expansion we are planning for the future. It is one thing to build the MMORPG of our dreams, and another to plan our regular expansions and content updates post launch. The state of Ashes is STRONG. We have been hard at work developing the systems and world that we cannot wait to play with you. We’ve learned a lot from our Ashes of Creation Apocalypse testing, a lot that pertains to what needs to be changed in anticipation for Alpha One of the MMORPG, and we’ve been focusing on those issues and those changes. Development towards Alpha One continues to make good progress, and we are focusing on delivering an experience worthy of the name Ashes of Creation. We have a lot of very talented developers working around the clock and across the world on Ashes. We are one of the most ambitious MMORPGs to come around in a long time, and we intend on delivering the experience of our lifetimes. The core principle with the development of Ashes of Creation is getting it right, and our measurement of success is delivering on the vision that you signed up for. We are here to release the game that will make us all proud. We know that the sentiment from the community is to not rush something, or release something that doesn’t meet all of your expectations. With the addition of our new community team, you will begin to see new content and regular weekly updates on the progress of the MMORPG, and our journey to Alpha One. We began beta testing for Apocalypse in December 2018. Apocalypse, which was originally Alpha One Phase 1, was developed to address concerns about our combat system, and specifically the integration of action combat into our hybrid combat system for Ashes of Creation the MMORPG. When we were planning our production schedule, we desired design data from skill usage, reticle accuracies, camera POV, high battlefield player populations, hit-scan and projectile designs, active dodge and evasions, and much more. We wanted to do all of this with a design that could be quickly implemented and adjusted as needed, without needing the entirety of Alpha One’s intended systems completed. The first deployable mode for Apocalypse which allowed testing as early as possible, was the Battle Royale mode. It was something that did not require many additional underlying systems, it was shown to be an enjoyable game mode, and was a perfect opportunity to begin laying the foundation for our new account services and matchmaking backend for the in-game arena systems. We also wanted to use our proprietary and patented server backend that is intended to accommodate the mass number of players we will see in the MMORPG at node and castle sieges. During the testing of Alpha One Phase 1, it became quite unclear for those not following the project to understand that the Battle Royale was an atmosphere designed to test the aforementioned systems and services. In an attempt to alleviate that confusion, we decided to brand it away from the MMORPG, since it wasn't clear enough for those less informed about the project why we were working on it, and how it related to the development of the MMORPG. This of course had a secondary effect that caused concern about the direction of the project being focused on creating a Battle Royale. Testing of Apocalypse successfully revealed the need for some architectural refactoring that we’re glad we were able to spot early on, and while development is split into separate departments that continue forward despite the needed rearchitecting (engineering, design, art, etc. ), some of these issues needed rebuilding from the ground up as you’ll see outlined below. In December 2018, during the rollout of our open beta testing for Apocalypse we discovered several issues that affected our web, platform, and account services. With over 2 million visitors to our new website in the last week of December, many of our scalable solutions that were designed to handle that type of traffic, experienced some issues. On February 21, 2019, we did an AWS (Amazon Web Services) migration that solved several of these issues, and we have some new deployments that will include our SSO (Single Sign On) solution that is intended to be utilized for multiple web portals – launcher, website, forums, and other services we have planned. We are also working on changing components of our ecommerce platform for the store, future shop components, and subscription features that will be utilized for the MMORPG. I’ve heard your feedback regarding the customer service and performance of the payment processor Xsolla and have decided we will be moving away from it, but it will take time to integrate Stripe and PayPal in its place. The future is bright and filled with exciting new adventures for both Intrepid and our Glorious Community. As we move towards our future testing periods, we have taken your feedback regarding development updates, and moving forward we will be focused on updating you more frequently with a look into our progress on systems and designs. Part of what I have tasked Margaret and Sarah with is defining a Content Roadmap that highlights the project’s development and what goes on behind the scenes. Our goal of reaching Alpha One in Q2 of 2019 for the MMORPG relied heavily on the architecture and backend work that Apocalypse was testing. In our last open stress test on February 7, 2019, we tested out some of our new infrastructure. This test was successful and allowed us to field 200 players in a single area with good performance on the server side. This was a great success, but we are going bigger for the massive battles we want in Ashes. The core point with Ashes of Creation, is making sure that it is done right. As a result of some of the needed changes from what we learned in testing Apocalypse, we will be pushing Alpha One back from the Q2 goal we had previously announced. We will be working on implementing these changes so we will be ready for the nearly 10,000 testers we have in Alpha One. We will be focusing on these changes to ensure that we are hitting the goals we want prior to Alpha One, and when we feel we are ready, we will share the new Alpha One date. I know you want a new date, and we’d love to be able to give a new date now, but we don’t want to throw one out there and have to take it back. The trust of our community is dear to us, and so we must be careful in promising what we can deliver. This means that when we do give you a new date, you can be assured that it is one that we have ultimate confidence in. In that spirit, we can say that this is not a delay in terms of years, but in terms of months, and that Alpha One will be in your hands before you know it! One of the great things about our project is the ability for you, our community, to look into the development of a game this size. Ashes of Creation is a massive, moving bundle of nearly an infinite number of parts. The reason why so many studios keep that window into development shut is because during the lifecycle of development things can be adjusted, and dates can change. Development is a very fluid and iterative process, especially on a project like Ashes. Moving forward, we will continue working hard on preparing for Alpha One, and giving you greater sight into the development of the systems and mechanics that go into creating what will be the greatest MMORPG. The data that we receive with Apocalypse is invaluable as an early testing grounds for many systems we are developing for Ashes of Creation. With Apocalypse, we want to get the Battle Royale game mode ready to be in a state where we can have it up and running 24/7. This requires us to finish the changes necessary from the testing done in December and January, but once it’s ready, it will allow us to gather a great deal more data, and to stress our backend infrastructure in ways that will prepare us for the MMORPG. Testing and development on Castle Sieges and Horde mode took a backseat to the fixes and refactoring that was necessary to address some of the data we saw from the early Battle Royale testing. Moving forward we will continue to work on those modes and will update you with testing times. With regards to the Compendium when we do reopen the servers, we’ll be resetting the time to zero as if we were at week one, but you’ll keep your level and rewards associated with those levels. As a reminder to those who are new, anything cosmetics you earn in Apocalypse will also be available on your Ashes of Creation MMORPG account when the game launches. In January 2019, we brought a new web team on board. It took some time to plan out their production schedule, but now they are caught up to speed and moving forward with changes and fixes that are much needed. We have also hired additional Customer Service representatives and will be cutting down response time for CS tickets. Decrease the time users spend waiting for their Customer Service tickets to be resolved. Our goal is to regularly provide you with updates on the progress of development through videos, articles, and art assets in a more consistent way. Moving forward, and as you may have noticed, we will be utilizing our website (and eventually forums) for official updates and then posting those details to all of our social platforms. We hope that this will make things much easier to follow and allow you to keep up with the latest information regarding Ashes of Creation and Apocalypse. We will be releasing new art pieces, articles, and a video each month. March 2019 will be nodes focused! We are working on a new video series called Dev Diaries. This series will let you get to know our team of developers, and go over the development of the game, covering a variety of systems - Nodes, Housing, Level Design, World Design, Wall Destruction, Concept Art, Modeling, Animation, and much more. As art is finalized for concepts, NPCs, mounts, armors, environments, and more, we’ll be sharing those assets along with details about them - whether that’s lore or information regarding the systems they’ll interact with. We’ll be releasing more in-depth articles that go into further details regarding the classes, systems, lore, content, and more. Live streams are scheduled for the last Friday of every month at 11:00 a.m. Pacific on Twitch to accommodate for more time zones, and uploaded on the following Saturday to YouTube if you miss it! As a reminder, don’t forget we have our next live stream on Friday, March 8, 2019 at 11:00 a.m. Pacific at https://www.twitch.tv/ashesofcreation. All of the above will be provided in a monthly email newsletter if you miss anything. Make sure the contact email you’ve provided in the User Info for your Profile is current so you receive the latest news and updates. Phoenix Initiative meetings will be the last Wednesday of every month at 11:00 a.m. Pacific to accommodate for more time zones, and recordings will be provided to all PI members. We’d like to start doing Fan Art Fridays! We love seeing all the amazing talent from our community. You can submit your fan art to community@intrepidstudios.com, but it must incorporate the following: a high res file, state that you are the creator of the artwork, state that you are allowing us to share your artwork, and provide us your social media links so that we can tag you if we share them on our social channels. When I first set out on the journey to start Intrepid and build an MMORPG that all of us have dreamed of, my focus was on making a game that I could play. A game that I could be sure would elevate the ideas of risk vs reward, meaningful conflicts, no p2w monetization, and put the Massive back in MMORPG. A game that allows players to influence the shape of the world, to build from the ground up their civilization and become a meaningful actor in the stories they want to be part of. During the past 2 years since we first announced Ashes of Creation, our Glorious Community has grown so large, passionate, and supportive that it makes everything the team is working for that much more important. We want to create an experience that you will remember for years to come. We are committed to making an epic MMORPG and doing it right. Going forward, I will be writing a letter each quarter to keep you abreast of our progress, and goals. This is a community effort. Your participation and commitment to our development is what keeps us going! Thank you for your time and continued love and support. I look forward to seeing you in game soon.